Home » Posts » Blogs » What are the chances of complications in laser eye surgery? Anyone who is considering whether they should have laser eye surgery is wise to consider the potential complications of having an operation on such a vital sense. 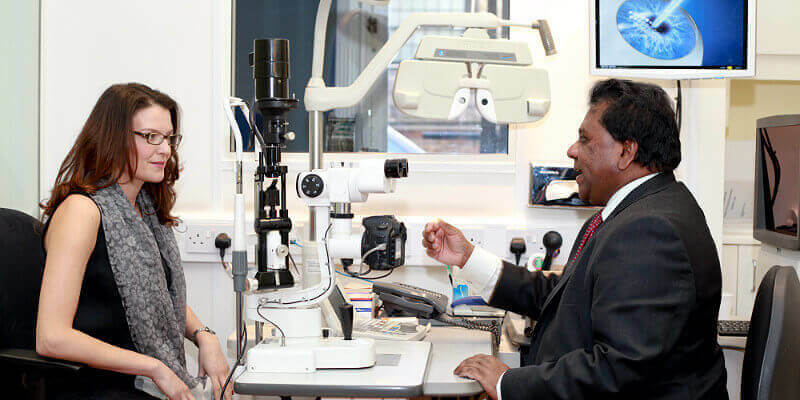 However, laser eye surgery is now one of the most commonly performed surgeries in the UK with an astonishingly high success rate which will see patients have their vision returned to youthful standards. Despite this reassurance, it’s perfectly natural to be concerned about any risk; though here at Advanced Vision Care we only use world-renowned eye surgeons for our operations to help ensure that our success rates remain high. Indeed, more than 20 million people worldwide having had laser eye surgery and the vast majority have reported having no subsequent problems. There are complications in less than 5% of all laser eye surgery cases with post-surgery infection being the biggest risk. As with all questions related to risk, context is everything. So to understand the risk involved; if you currently wear contact lenses then you are 10 times more likely to get an eye infection than for anyone undertaking laser eye surgery. While it is undoubtedly true that there are some risks associated with laser eye surgery, the risk of serious complication is very rare. The 5% figure of complications resulting from laser eye surgery comes from the Royal College of Ophthalmologists and, they report, that there have been no reported cases of patients being made blind as result of LASIK or LASEK eye surgery. Now that is good news, isn’t it? So while serious complications are relatively rare, the most common risks include patients who may get dry eyes but with medication this will clear up after just a few months (though if you do suffer already with dry eyes you should flag this up at your initial consultation). Some patients may have issues which include slight grittiness; while others may experience glare or sensitivity around lights; and some may experience some blurriness but these symptoms are easily dealt with by using lubricating eye drops. We also monitor a patient’s progress via our regular aftercare appointments, which can be up to a year after surgery. Other eye infections are treated with antibiotic eye drops and this clears up over a short time and some people may find issues with corneal flap complication which is usually down to the equipment used, but here at Advanced Vision Care we use the latest modern blade-free Intralase Lasik laser technology which helps to avoid these problems. If you would like to find out more about laser eye surgery and how Advanced Vision Care minimises the risks, then why not call AVC TODAY on 0800 652 4878 and request your free information pack or book your consultation to find out how we can help you.